One of the Signed & Numbered Hardcovers, limited to 500 copies. 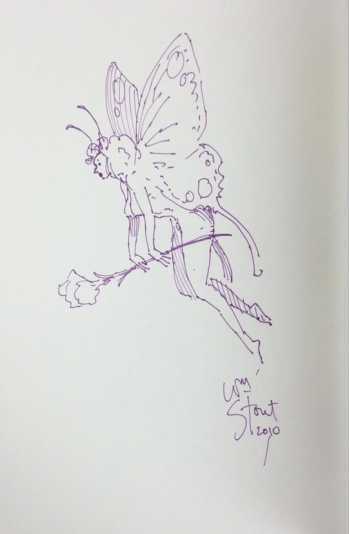 On the facing page Stout has added a full-page ink drawing of a fairy signed & dated 2010. Taking his cue from Arthur Rackham and other legendary creators of early 20th century storybook illustration, a modern master of the visual arts--William Stout--presents his impressions of the strange and sometimes terrible inhabitants of the worlds of literature, cinema and popular imagination. Freshly returned from his latest tour of far-flung and fanciful lands, the multi-award-winning artist presents illustrations that capture the very essence of the good folk and odd creatures who populate the dark woods and sun-filled glades of Aesop's Fables, who wander the wonder-filled roads of the Land of Oz or who tread the blood-red soil of the planet called Barsoom, which we know as John Carter's Mars. Be they animal, vegetable or mythic in nature, Stout's ink-and-watercolor images breathe vibrant life into crafty fox and humble scarecrow, terrifying sea serpent and deadly dragon alike. 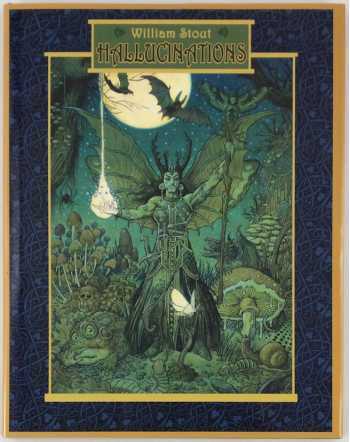 William Stout is one of America's foremost fantasy and film artists, dinosaur muralists and illustrators. Stout's dinosaur illustrations have appeared in The Little Blue Brontosaurus, which formed the basis of the enormously popular The Land Before Time animated series. Stout has contributed to over thirty films including Raiders of the Lost Ark, Jurassic Park, and Walt Disney's Dinosaur. He was a designer for Guillermo del Toro's Pan's Labyrinth. His previous books include, The New Dinosaurs, Prehistoric Life Murals and Dinosaur Discoveries. His pictures were an acknowledged inspiration for Michael Crichton's Jurassic Park. Stout has been awarded the Gold and Silver Medals from the Society of Illustrators. #122 of 500 numbered copies signed by the artist on a color illustrated limitation page.